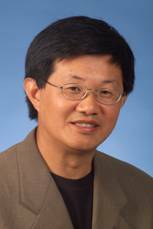 Charles Cao is The Smeal Chair Professor of Finance at the Department of Finance, the Smeal College of Business at the Pennsylvania State University. He received his Ph.D. in Finance from University of Chicago's Graduate School of Business in 1993, M.S. from University of Kentucky in 1988, and B.S. from Peking University in 1984. Professor Cao's research interests include hedge funds, mutual funds, derivative securities markets, market microstructure, and credit risk. His research has been published in a wide range of academic journals, including Journal of Finance, Review of Financial Studies, Journal of Financial Economics, Journal of Financial and Quantitative Analysis, Management Science, Journal of Financial Markets, and Journal of Econometrics. Professor Cao’s paper “Empirical Performance of Alternative Option Pricing Models” (co-authored with Gurdip Bakshi and Zhiwu Chen, Journal of Finance, 1997) is among the 50 top cited articles of all time from the Journal of Finance. Another of his paper ``Price Discovery without Trading: Evidence from Nasdaq Pre-opening'' (co-authored with Eric Ghysels and Frank Hatheway, Journal of Finance, 2000) received the New York Stock Exchange Award for Best Paper on Equity Trading at the Western Finance Association Meetings in 1999. Professor Cao won competitive research grants from the BNP Paribas Hedge Fund Center (2013), CFA Society (2013), the Real Estate Research Institute (2012), the Q-group (2010), the BNP Paribas Hedge Fund Center (2009), Federal Deposit Insurance Corporation-FDIC (2006-2007), and Morgan Stanley (2004). He was also selected Fellow of FDIC Center for Financial Research in 2006. He serves as an editor/associate editor of Pacific-Basin Finance Journal, an associate editor of Journal of Financial Markets, Review of Derivatives Research, Review of Quantitative Finance and Accounting, and Annals of Economics and Finance. He has taught M.B.A. and Ph.D. courses at the Smeal College of Business, Penn State University. He also served as program chair of 2005 - 2008 China International Conference in Finance, sponsored by Tsinghua University and Sloan School of Management, MIT. Nominated for a Smith Breeden distinguished paper award, AFA, 2001. On the list of the 50 top cited articles of all time from the Journal of Finance. Winner of the Competitive Paper Award in Financial Institutions, FMA, 1996. 31. Evolution of Transitory Volatility over the Week (with Hyuk Choe), Annals of Economics and Finance, 1997, 49-78. 32. What is Special about the Opening: Evidence from NASDAQ (with Hyuk Choe and Frank Hatheway, Seoul Journal of Business, 1997, 1-36. 1. “Option Pricing and Hedging Performance under Stochastic Volatility and Stochastic Interest Rates” (with Gurdip Bakshi and Zhiwu Chen), in Handbook of Financial Econometrics and Statistics, C.F. Lee, Editor, Springer Publishing, 2014. 2. “Option Pricing and Hedging Performance under Stochastic Volatility and Stochastic Interest Rates” (with Gurdip Bakshi and Zhiwu Chen), in Handbook of Quantitative Finance and Risk Management, C.F. Lee, Editor, Springer Publishing, 2010. 3. "Liquidity Consequence of IPO Lockup Expiration" (with Laura Field and Gordon Hanka), in Focus on Financial Institutions and Services, Nova Science Publishers, Inc., 2004. 4. "Empirical Performance of Alternative Option Pricing Models" (with Gurdip Bakshi and Zhiwu Chen), in Model Risk, Haymarket House, London, U.K., 2000. 5. "Empirical Performance of Alternative Option Pricing Models" (with Gurdip Bakshi and Zhiwu Chen), in Options Markets, Edited by G. Constantinides and A. Malliaris, (Critical Writing in Financial Economics, Series Editor: Richard Roll), Edward Elgar Publishing Ltd. UK, 2000. 6. "Nonlinear Time Series Analysis of Stock Return Volatility", (with Ruey Tsay), in Nonlinear Dynamics, Chaos and Econometrics, John Wiley & Sons, Ltd., 1993. 7. "Decimalization and Competition among Exchanges: Evidence from the Toronto Stock Exchange Cross-listed Securities", (with Heejoon Ahn and Hyuk Choe), in Proceeding of NYSE Conference on Global Equity Issuance and Trading, 1997.